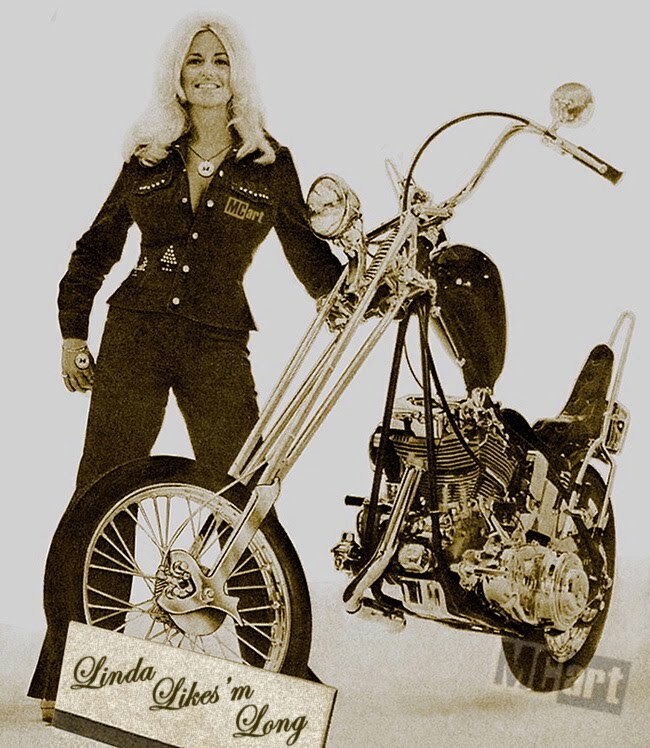 She was known as the Miss Hurst Golden Shifter & we can definitely see why. 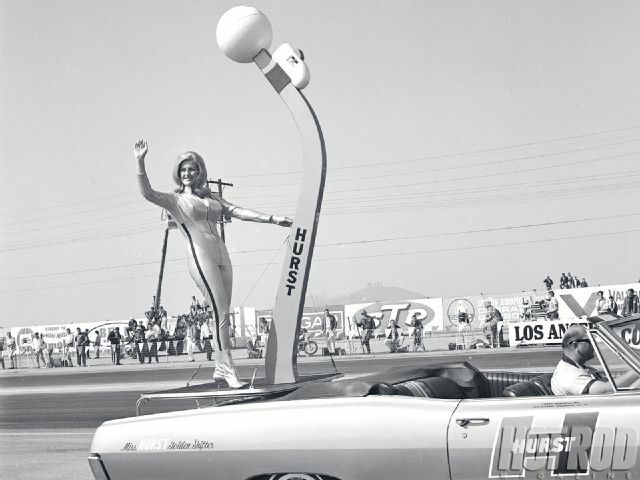 The iconic Miss Hurst Golden Shifter has been a part of the racing and automotive scene since the early ’60s; she knows everyone we regard as heroes (and many more we don’t), and she never disappoints with her insanely accurate memory. Meet her once, even for just a moment, and there’s a good chance she’ll remember your name and what you talked about a decade later. She has probably the most recognized face (and let’s be honest, the most recognized breasts, too!) 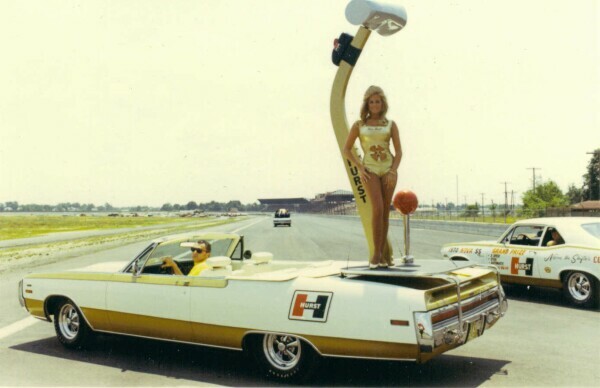 in the world of motorsports, having represented Hurst and several other companies for five decades now, after George Hurst stole her from her Miss Firebird responsibilities and made her the second Miss Hurst Golden Shifter, initially to promote the company, but eventually to promote everything about motorsports, hot rodding, and our way of life. 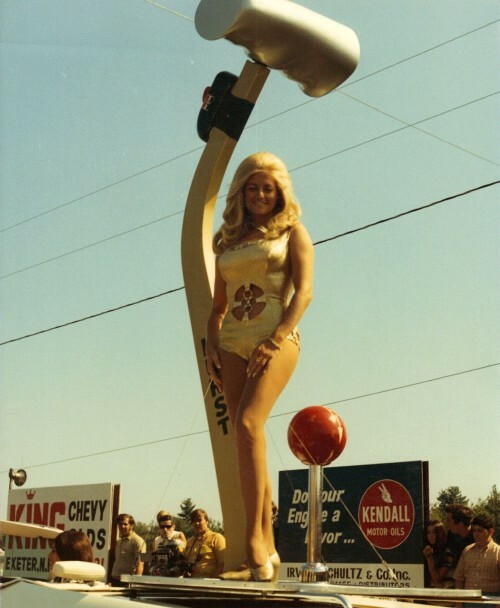 Linda Vaughn is The First Lady of Racing, and she always will be. And yes, she drove to our lunch in her ’75 Hurst Olds. And we saved the best for last!!! 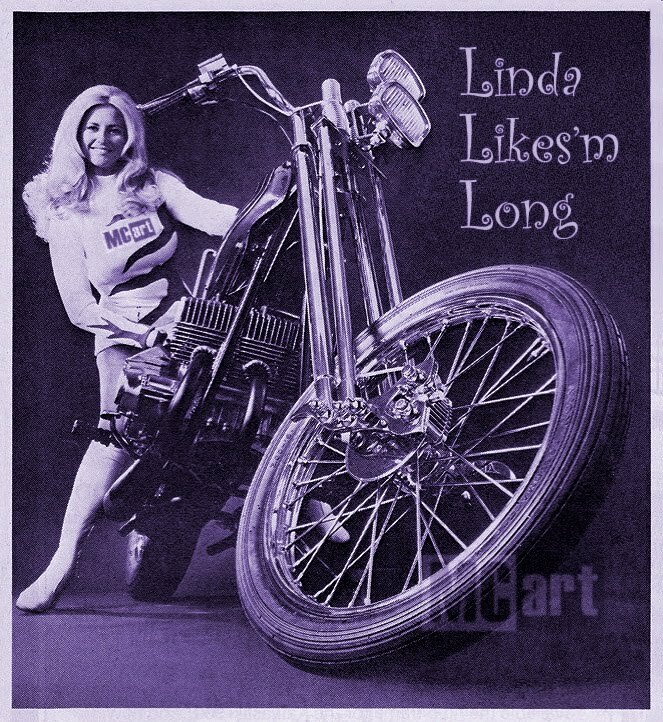 She dug Motorcycles as well and adorned many pages of the magazines back in the day. 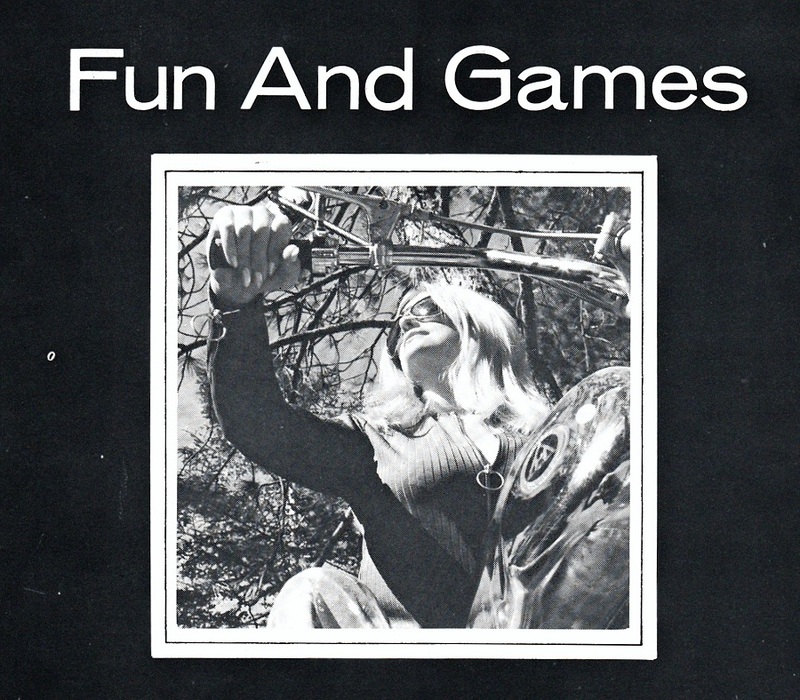 A legend that’s for sure and thought it fitting to have on our Blog for Valentines day. Hope you enjoyed the photo’s? Hope that you all have a super Valentines day and evening. Right, I am back into the workshop.